The update also includes emojis for many different types of families. 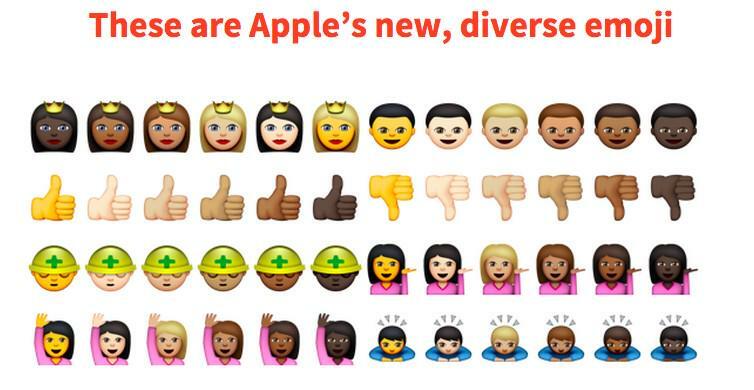 Apple has heard your prayers and is reportedly introducing new emoji characters that are much more racially diverse than the current selection. According to multiple reports, Apple will roll out the new emoji with its next version of iOS and OS X. Beta testers got a sneak peek at the new emojis on Monday and shared the images online. The update allows users to select an emoji character from the "people" section and pick from a variety of different skin tones. It also offers different skin tones for hands. Each emoji representing people on Apple platforms now offers a choice of skin color, with abstract color as the base. There will also reportedly be a greater variety of flags and emojis for many different types of families. Apple also made sure to update the emojis for its products, changing the iPhone emoji to an iPhone 6 and adding an Apple Watch. Some people on Twitter applauded Apple for the update. 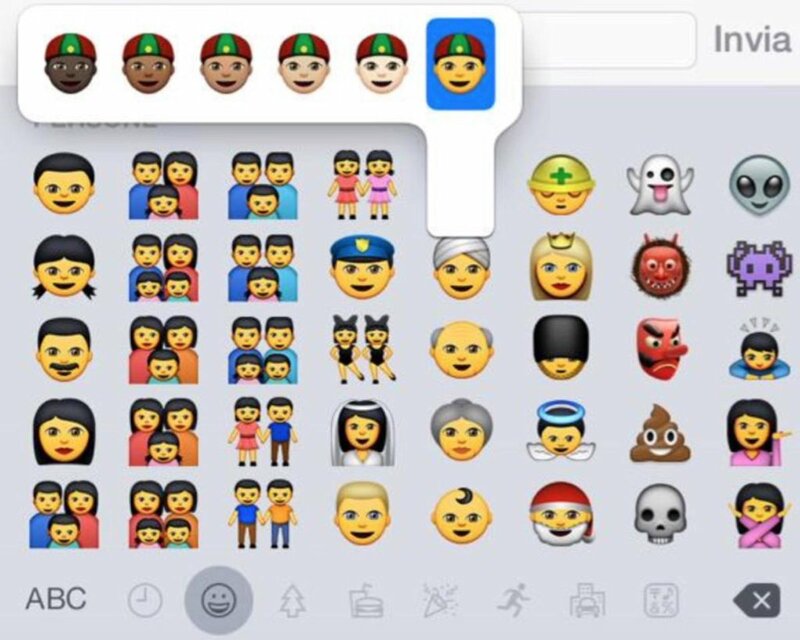 Apple continues to focus on inclusivity: iOS 8.3 has 300 new emoji, including diversity, and 32 new country flags! However, some expressed dissatisfaction over emojis with yellow skin. The new Asian emoji's are a bit too yellow. They could've toned it down a bit. One Apple analyst wrote that the yellow skin is supposed to be the "default" option. Others said they were upset there was no option for natural hair and no redhead option. Now in the new black emojis...is that real hair or weave? The iOS update is coming later this year, according to 9to5Mac.com.